Sowing Seed – Dig Delve – An online magazine about gardens, landscape, growing & making. We have had a remarkable fortnight. August at its best with heat in the sun and long cloudless days. Cracks have opened up in the ground that are large enough to slide my fingers into and the garden has responded accordingly with fruit ripening and plants racing to set seed. It has been the perfect time to gather, with a daily vigil to check on ripening and harvesting just as the seed is ready to disperse. It is a yearly ritual, which I can trace back over thirty years to my black opium poppies. I may have missed a year or two of scattering them onto new ground to ensure that I have them the following year, but I have always had their seed in store, just in case. The seed is a currency of sorts and I can always depend upon the next generation if I have some in my pocket. Saving and sowing seed is rewarding on many levels. First, it is free, and mostly plentiful. A pinch goes a long way, but sometimes you need more than a pinch to make an impression. Secondly, raising plants from seed gives you a full and rounded understanding of how a plant develops and what it needs at each of its stages of life to thrive. A seed-raised plant has a different value, for you have not skipped a step. It will have been in your care from the get-go and may also come with associated stories that trace directly back to its provenance; what it grew with and where, or who passed the seed on and why. 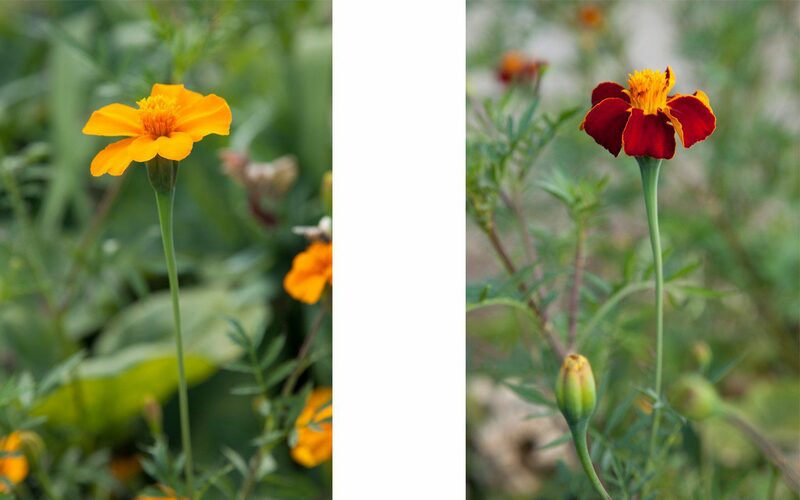 Seed-raised plants are prone to variability and just occasionally you might find that a form has something superior to its parent: more vigour, a difference in flower colour or the potential of resistance to disease. Ash-dieback is an issue that we are all dreading as it works its way across the country, but there is surely hope in the fact that ash are such prolific seeders, that maybe there will be a seedling, or a percentage of seedlings, that are naturally resistant. Not all seed comes true and this has its advantages as well as its disappointments. I keep my Tagetes patula and Tagetes ‘Cinnabar’ at opposite ends of the kitchen garden, as they are notoriously promiscuous. If they cross-pollinate the deep, velvet-red of the ‘Cinnabar’ will be tainted, its crosses in the next generation slashed with yellow, with neither the electric tangerine colour of the pure species nor the richness of the named hybrid. It is good to keep them pure. 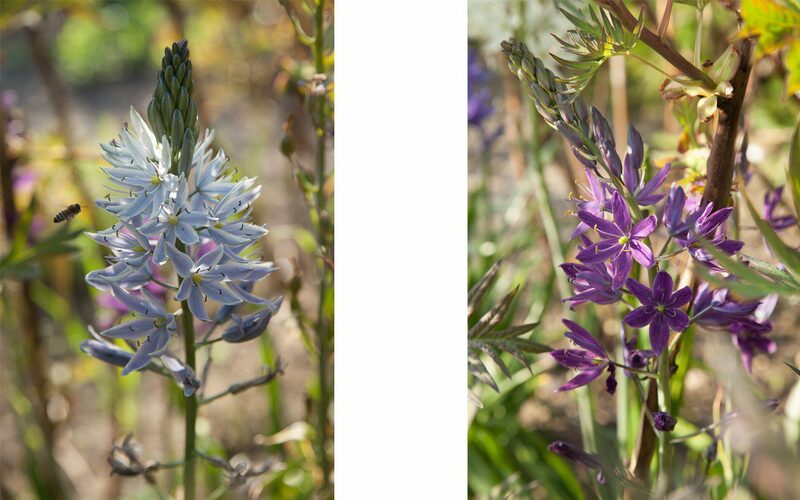 In contrast the range of amethyst colours found in Camassia leichtlinii ‘Avon’s Stellar Hybrids’ are the delightful result of natural variance, coming in the darkest blue-purple and fading through grey-lilac and pink to off-white. For the last couple of years I have been harvesting seed from mine to build up stocks. The seed is prolific and I have broadcast some on the wildflower banks below the kitchen garden in the hope that they will find a window and establish in the sward. I have also sown a pot full of seed for a more controlled result. When sown fresh they come easily the following spring. A pot sown each year should provide me with the quantities that I need to make an impression. After sowing they should take three to four years to flower and it will be exciting to see the natural variability in the seedlings. Self-sown seedlings are an indicator that you have found a place that suits a plant. 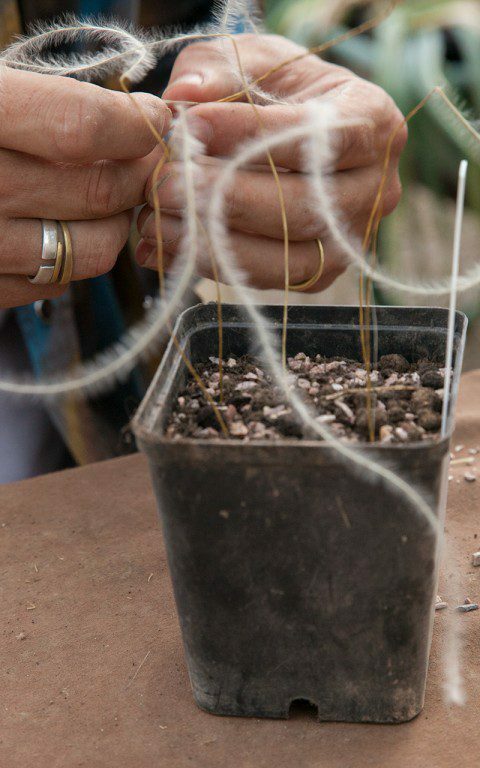 This is my ultimate goal in the garden here: to work with the conditions and what the plants favour and for self-seeding to create a ‘blur’ in some of the plantings that allows them to take on their own direction. The seed gathering started last month, each new collection stored in a reserve of pie boxes which make the perfect receptacles. 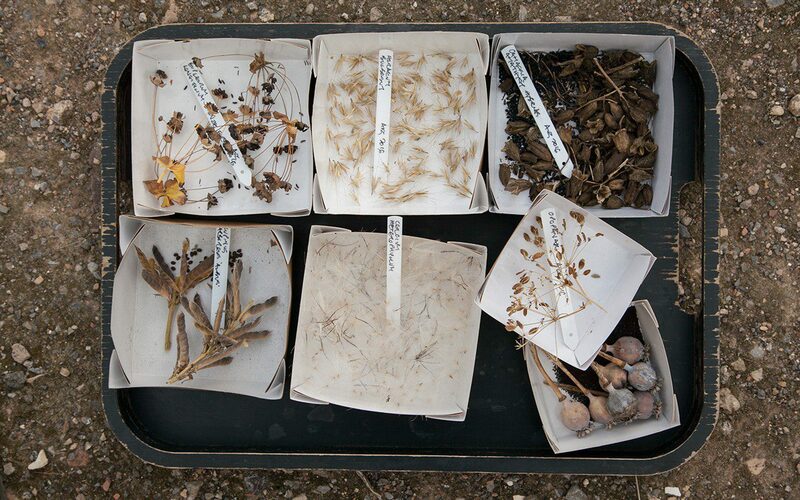 The boxes are left open on a sunny windowsill until the seed is thoroughly dry and then labelled for clarity. Not all seed is for keeping. 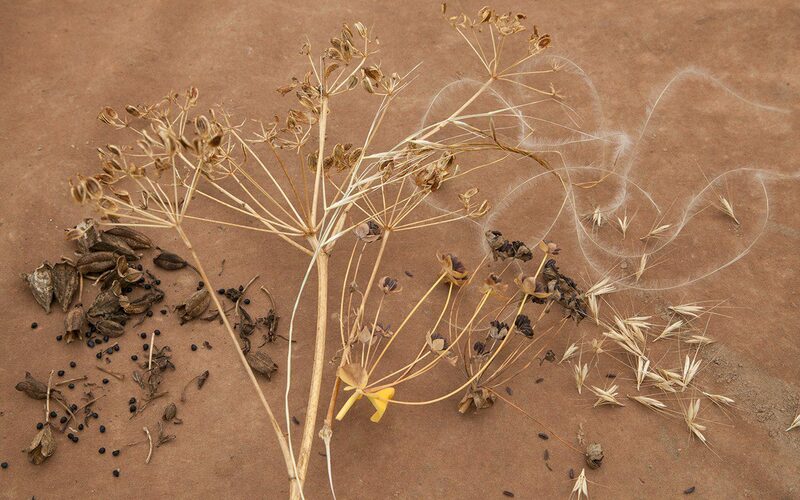 Umbellifers, for instance, and plants from the family Ranunculaceae are best sown fresh as the seed degrades rapidly. 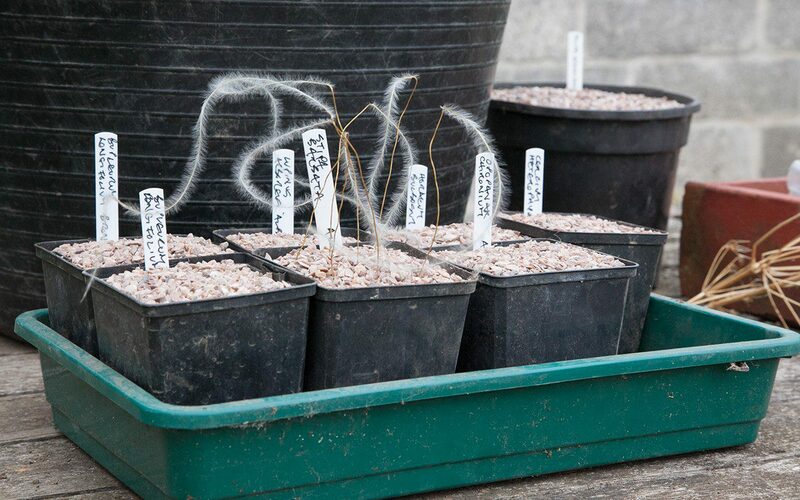 Sown now, and depending upon the species, they will sit in their pots until spring and have their dormancy broken by the stratification of frost. Peonies may take up to two years to germinate. The first year will see roots forming and nothing above ground, the second spring will give you the first leaves, so sometimes patience is important. Other seed such as scabious and Succisa come up almost immediately, so that they are past the seedling stage in order to overwinter as youngsters and get away quickly in the spring. I like to sow in a gritty mix for maximum drainage and find that if the seedlings have to search for moisture they develop a better root system. Seed is scattered as lightly as possible across the surface so that the seedlings have room to develop their first true leaves before transplanting. 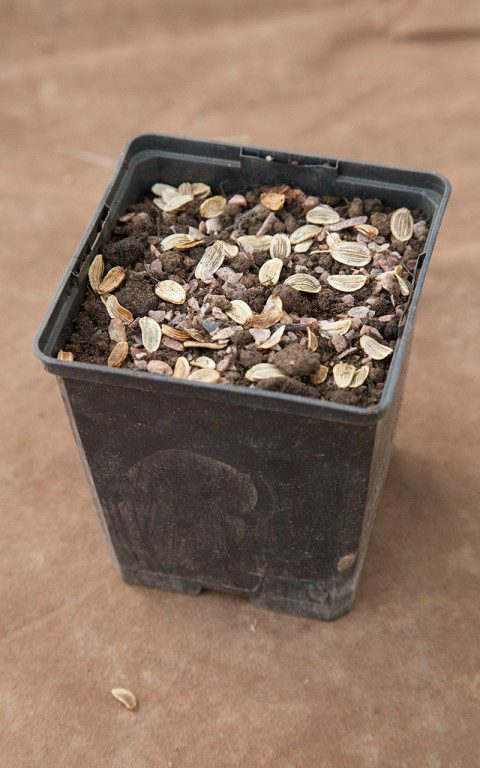 I like to top-dress the seed with horticultural grit, again for drainage and also the advantage of protecting the seedlings from the soft underbellies of slugs and snails. The pots are stored in the controlled environment of the cold-frame where I can keep an eye on watering, and so that they do not lie wet in winter. Seed for keeping, such as the annual tagetes, will be kept dry in Tupperware in the back of the fridge to slow their degradation and brought to life again next spring with the summer stretching ahead of them.